Both oDesk and Gigbucks can exist and find users. They have various features which flesh out the freelancer’s options, and it would be unwise, as a writer, to wish one to go away entirely. As an experienced freelancer, you know the more options the better and both sites are competent enough to continue striving towards. Ultimately, Gigbucks is a more fluid service. Their support system is unrivaled. The price for the work is more stable, and the competition is lessened due to a growing audience as opposed to a purging audience. Gigbucks is an impeccable service, and one of the main reasons is their desire to compete against the many other freelance sites available. By being efficient and superior, they have earned their growing audience. This entry was posted in Gigbucks on November 23, 2012 by jody. How to buy cheap, targeted online advertising for $5 dollars! In today’s world, internet marketing is a must for anyone that has high hopes of pursuing profitable outcomes from their business endeavors. Failure to do so can result in a lack of clients and a lack of your name reaching the public as it does by way of your competitors. It is a fact that most businesses today are using the techniques provided by way of the internet for touching base with prospective customers of all types in all walks of life. Keep reading to see how Gigbucks has been making this a reality at a very reasonable cost for those that are hip to their services. Many newcomers to internet marketing find themselves overwhelmed by the onset of this new technology, but thankfully Gigbucks.com provides these services as low as $5 in total. With the help of freelaners with the correct tools for meeting any type of specific need that may be wanted, a new or existing business can find that branching out into this newly utilized space for marketing purposes does not have to be a difficult endeavor that requires a ton of experience or a lot of cash to get it running. Many small to medium sized businesses find that in order to take advantage of this type of marketing, a considerable amount of money is often times asked for by Gigbucks.com competitors. Given that Google provides a new method of effective outreach to clients by way of their search algorithms, many services charge a hefty fee for fine tuning the direction of clients their way. Sometimes, these amounts exceed thousands of dollars, but now they do not even have to come close by a long shot. Advertising can be found as low as $5 with Gigbucks, which is virtually as low as anyone could hope for in this current market. If social mdia marketing is on your agenda, look no further. There are freelancers that have established systems of maximizing your earnings potential just waiting to provide growth you otherwise would either have to dedicate months or years to, or pay substantial amounts in order to do so by way of another type of service. Social media sites have been a proven tool for creating growth in the number of customers that are to be brought your way. Spreading like a virus, the methods implemented spread from new clients afterwards to create a buzz about the products or services you are providing. Gigbucks enlists the assistance of a huge collection of freelancers looking to fit your needs in more than areas of marketing. If one needs programming or web design, there is a long list of capable team members that are on the competitive edge of providing their services at the lowest cost possible. Even if you are only looking for a bit of assistance with WordPress, there are more than enough freelancers on call to assist you when the time comes to do so. Take a moment to navigate to Gigbucks.com, and browse through the categories that are listed on the site to see exactly what services are provided. There you will find that just about anything pertaining to internet marketing and website usage is covered. Even the finest niche of a need is usually being addressed by someone who has more than enough experience to get the job done effectively, and for pennies on the hour. When deciding on which freelancer you want to utilize for your specific need, Gigbucks offers ratings and reviews for doing so. This system implements a method of making sure that all freelancers are on top of their game at all times, for quality assurance is of the highest importance when it comes to the jobs being completed. Another great part of the Gigbucks system for ultimate customer satisfaction is that clients can contact freelancers directly before making a commitment to their services. This allows for the best fit possible to suit their needs. Many times, they have examples of their work made available at this point, and can offer a bit of direction to clients to make sure they are getting exactly what they have in mind. This means that the element of hiring the wrong person for the job has been virtually removed from the system completely. Another great thing that Gigbucks has done in order to guarantee your highest quality of service is to make payments made by way of escrow, which means that the cleint does not have to pay for what they are not utilmately happy with. The clients payment is held until the services have been provided to them and there are no chance of issues. This means that nobody gets unsatisfactory work, removing the element of human error or bad service from any of the freelancers that are chosen. No matter what the need be for making best use of the internet for the purposes of creating growth, Gigbucks can see them to completion. Go now to Gigbucks and begin searching through their database for whatever projects you may want to enlist the services of. There are constant updates made available throughout the day, and it honestly is very suprising to see how low some of the social marketing and advertising services are in opposed to competitors. After seeing what is being offered at current prices, there will be no need to look anywhere else. Gigbucks does it all, and is the biggest fear in the minds of those providing the same types of services at much higher prices. The choice to do so is an easy one, for reducing the costs of advertising and social media marketing as part of your overhead will increase profit margins in the long haul. This entry was posted in Gigbucks on November 14, 2012 by jody. Do you need a quality English to Spanish or Spanish to English translation service? Translation can be accomplished online when you need to finish this task. Multi-language assignments or chores can either be a hard to research topic or a common procedure that gets performed over the Internet often, and hiring a low cost translator can put this task enjoyably in the background. Many different types of professionals can make use of the many English to other language translation offers there are listed on our web page. Many multi-lingual customer service positions can make use of clicking into the menu system that allows users to view low cost offers and also any high cost offers there are that day. Companies who export goods and services to other countries can find jobs that hang around on the list for a number of days, and users might want to contact workers that are farther down the list. There are a number of letters that are asked to be sent to other countries, and you can trust good ratings or great value. Have a paper translated and then sent elsewhere while doing other clerical tasks. Office management that needs to understand what is going on in another language can find easy solutions to multi-lingual or bi-lingual needs. Don’t worry, you’re not alone! Every day hundreds of people who need help translating websites, documents, articles or blog posts find professionals who are willing to do translations for as little as 5 dollars. These users or professionals advertise themselves for people who need translators and translating tasks accomplished. There is ample size to the community here. Watch hundreds of listings grow value for interactive customers. Find yourself asking for high quality, and finding service that gets your extra work done. Translations can be more work then professional office staff have time for, and for a small fee these tasks can be finished by utilizing other professionals. Gigbucks is a freelancer, micro jobs website where people buy and sell services, such as english to spanish translations and things like that. 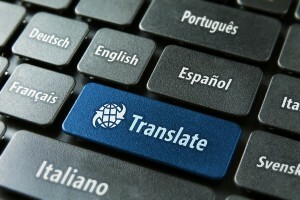 Translation is another assignment that is easy to ask for over the Internet. Bookmark this page to find quick translation jobs that will arrive shortly in your inbox. Simple office tasks like this one do not take additional packing directions or strategic physical assemblies that require many difficult steps. Office chores can be sent through email and the results are very portable. Electronically transmitted bi-lingual pages of information can be both valuable and easy to finish. Go to Gigbucks, search or browse the categories and you’ll find hundreds of different service providers to choose from. In-fact, there is a long list for alternate fun and professional office tasks on the menu. Alternate categories include advertising, business, fun & bizarre, gift Ideas, graphics, music & audio, ‘other’, programming, silly stuff, social marketing, technology, tips & advice, translation services, video, and writing. A complete list of common office tasks have been accumulating a large number of authors that are willing to perform. Additional tasks can be added at any time, so when ever Gigbucks.com needs a new category it is usually automatically added. A complete list of usual office tasks are listed for convenient seekers. 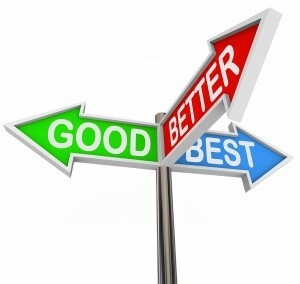 Find quality providers by checking out their ratings and reviews. Pick out each worker and find the rating listing near the top of his or her details page. There is a listed rating system that displays how many positive user ratings that the worker that you are looking at has gotten. With that rating system, there is also a message to the reader that offers information about the history and credible data of each worker. Contact sellers with questions before you buy and be sure to find the best provider for your needs. When checking out a task listing or the listed worker or the work that you want to be done, there is a contact seller link that can put you in contact, so you can ask many questions. Some workers will enjoy a few extra directions, especially if it helps them get it done right with the first draft. The worker may also have questions that can appear in your inbox. Reading and answering these questions and requests can ensure a good paper. There are many available professionals who can take your extra electronic office tasks and accomplish them sooner then possible. Try, of course, not to over load a chosen professional, but a few comments are more then necessary for direction and commitment. Offering good advice for next time or offering a great comment is possible and can be done occasionally. Good rating and a ratings system are both implemented so that good workers can achieve good ratings. Pay safely through the Gigbucks escrow service, the provider of the service only gets paid after you have received the service and are satisfied with it. Be less afraid of scams and discover the individuals that are available for hire. Temporarily know of other professionals and trust one website to handle temporary job transactions. All of your temporary office task needs can be purchased through our one website. Dedicated web-masters and other Gigbucks.com staff will help assist where your money goes. Now there is no need to be alone while finding random professionals that want to be hired. Feel free to write in with any concerns about your account and the money in your account. Go to Gigbucks to get started. You may have seen Gigbucks.com advertised on links or in a search engine. This is a great web-page to to find and please bookmark this page if you have found it before. Look online for office tasks and find this result page listed from intelligent searches for professionals who get hired to do the work. Office tasks can pile up, and finding this page again means that these types of temporary services are available. Find us on major search engines when scouring the Internet for extras and additional office help. This entry was posted in Gigbucks on November 7, 2012 by jody. The Smart Way to Build and Market Your Website! Micro jobs are jobs that are offered through an online portal. Freelancers specializing in different trades advertise their services and come in direct contact with individuals and businesses looking for articles, or web content. With the number of online activities and businesses booming, the need for short term, low paying tasks is on the rise. Many people have decided to venture to online freelancing jobs, and deliver their services for a fee. Gigbucks is a website that offers freelancers micro jobs that serve as an informal workplace. Gigbucks is employing social media freelancers specializing in programming, marketing, creative, and administrative content. It provides a dedicated workroom for clients and contractors to communicate, share files, and collaborate on the job. Freelancers can search the Gigbucks.com website for posted jobs, and research clients. Each freelancer can post a profile displaying their skills and provide verifiable information that potential clients can review. Businesses will be able to evaluate the freelancer’s qualifications, ratings, and their reviews. Business owners support the micro job trend because it helps lower companies’ payroll expenditures. Freelance workers support it because it provides them with a chance to increase their earnings by working for multiple clients. Compared to hiring a full-time staff, project-based hiring provides small businesses with a cost effective option to have access to highly skilled workers at a significantly lower price. Gigbucks is a quicker and more cost-effective than utilizing staffing firms, job boards and the traditional outsourcing companies. Gigbucks offers immediate access to qualified experts that work online and offer tools to assist with the hiring, viewing the work after completion, and paying for results. Freelancers at Gigbucks offer many services to businesses such as advertising, article and PR submission, creative writing & scripting, flyers & brochures, copywriting, internet marketing, photography & photoshopping, seo keyword optimization, video marketing & tutorials, web analytics, website development & design, translations, logo design, programming and driving traffic to websites. 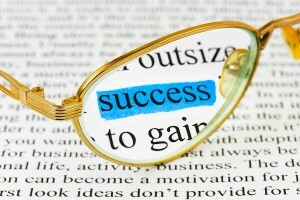 Gigbucks freelancers will deliver quality results for any customer needs. Once a Gigbucks freelancer selects a project, the project communications and files can be exchanged. The freelancer receives payment by the client through Gigbucks system, which deducts a percentage of the fee as commission. The service provider only gets paid, safely through the Gigbucks escrow service, after the business or client, has received the service to their satisfaction. Gigbucks is a safe place for business. The website also allows businesses to get in contact with the freelancers for project inquiries and discussions. 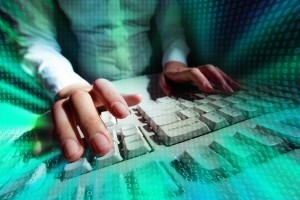 Ensuring customers’ safety while they work and pay online is the websites first priority. Gigbucks has heavily invested in first class web tools, systems, and freelancers. Businesses can use the Gigbucks website to post jobs, search for freelancers, and solicit proposals. Gigbucks also caters to the increasingly liquid labor market by facilitating exchanges between the contractor with a skillset and the client in search of help with a need. This business model reduces search friction and as a whole benefits the economy. Tons of experienced web developers are available to help businesses build their web site, revamp an existing site, optimize their website, and assist in marketing and hosting. To get started freelancers have to sign up for a free account with Gigbucks. Freelancers can create gig posts after finishing the assignment, which will allow businesses to see what their skills are. Gigbucks allows for an infinite amount of posts and the freelancer can even set their own prices. Businesses search through the gig posts and pick a freelancer who matches their needs. The business can leave positive feedback for the freelancer which will attract clientele. Gigbucks takes the performance and compliance of its members seriously. There is an enforcement team in place to make sure that both clients and contractors are working according to proper guidelines. Gigbucks knows that jobs are more successful when both clients and contractors have the right tools to do their assignments and be able to work in a secure environment. As the world’s leading platform for online employment, Gigbucks helps hundreds of people who need to develop their website, find professionals that are willing to design, set up, and market websites for as little as 5 dollars. The website offers access to qualified clients, serves as a virtual workplace, and guaranteed pay for the excellent work completed. Gigbucks provides an easy to use platform for freelancers to start utilizing their talents right away and for free. The website takes pride in delivering exceptional customer service, transparency in hiring, guaranteed payment protection, and privacy and work security. We take your data seriously. Gigbucks uses best-in-class encryption technologies to keep your data secure. Clients can also rest assure that Gigbucks will never resell personal information to third party companies. Customers can trust Gigbucks to deliver quality results for both the freelancers and businesses. Gigbucks will always provide a dedicated workroom for clients and contractors to communicate, share files, and collaborate on the job. This entry was posted in Gigbucks on October 26, 2012 by jody. Marketing is an important part of any business. When starting any new or promoting a current business venture, the company must have a great website and a strong marketing presence. Marketing does require a great deal of time and effort, which is why companies like Gigbucks are here to help. Recently more and more companies are looking to outsource their marketing and allow others to handle that portion of their business. For some it is time restraints, but for others they lack the knowledge on how to work with WordPress and other programs essential for an online presence. When choosing a site like Gigbucks.com, you can have your marketing done for as low as $5.00 through one of our reputable providers. By selecting a freelancer who specializes in marketing, you are paying for the services of someone who is up to date on the marketing trends, including what works and what does not. These freelancer specialists that are found on Gigbucks are experts in online marketing and know what needs to be done to promote your business. What this does for the you s allows you the opportunity to skip the trial and error phase and have someone set up your online marketing with the knowledge of what is successful. Gigbucks is a great way to outsource your marketing and pay very little. Micro job sites, Gigbucks, allow individuals to find professionals who are well versed with online marketing and not have to pay the enormous agency fees. 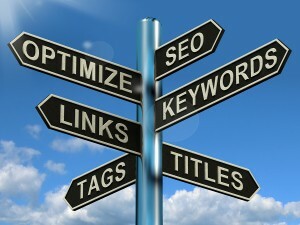 Every establishment needs quality and efficient marketing for their company, website and all other aspects of business. The great thing about Gigbucks is it is perfect for the business that is small to medium in size and does not have a large marketing budget to work with. Not everyone can afford the big advertising agency prices, and this method is perfect for those with limited funds. Gigbucks is a website that is full of freelance specialists that are ready to do your marketing for a very reasonable price. The beauty of this website is that you can find freelancers that are will do your marketing for as little as $5.00, how great is that? There are thousands of freelance marketing professionals to choose from, so one can browse until they find the person that best suits their needs. While all marketing professionals do not charge the low rate of $5.00, the ranges are affordably between $5.00-$50.00. Amazing, that in today’s expensive society a business can find marketing help for under $50.00. To sign up and browse the marketing help that is available costs nothing! The entire process takes less than two minutes and you will have an account with Gigbucks. So how do you know that the marketing freelancer you are working with is reputable? We take care of that for you! All of our marketers are rated and reviewed. You can easily see how past experiences were with other jobs and what the customers had to say about this person. It is easy to find a quality person to handle your marketing for a fraction of the cost of an agency. The best thing is you do not have to pay unless you are completely satisfied. We offer the opportunity for you’re to pay safely through an escrow service that we have set up. The marketing provider will only receive payment for their services after you have received the service and are completely happy with the work they have done. If you are a smaller company you may be thinking about building you own website. If you are like most, building a website with WordPress can be a challenge that leaves you with more questions than answers. The representatives on Gigbucks can help set up the website for as little as $5.00. For less than the cost of a combo meal at most fast food restaurants, you can have your marketing outsourced and taken care of. You’re probably wondering what other wonderful services that Gigbucks offers. This site is amazing and it has micro jobs that allow people like you to buy and sell services. If you need help with web site design or with Word press this is the site for you. Understanding WordPress can be difficult and you are not alone when you find that you need help. It takes someone with some understanding behind the concepts used in this program to be able to fully work with it. On Gigbucks, it is easy to find professionals who will help you to set up your site, even create some of the design and help you market your newly developed site, all for the low starting cost of only $5.00. Using Gigbucks is easy. Using the search option you can browse categories that you need help with. The categories can be things from marketing to web page design. Once you type this into the search engine it will pull up hundreds of providers that can assist with your need. This site allows you to communicate with the seller by asking questions before you hire them. After all you want to make sure that this person understands what it is you are looking for and you want to find the best provider for all your marketing needs. While communication is important with the professional, so is checking out their ratings and reviews. If this person is good, it will show in their feedback. Gigbucks.com sets it up so it is easy to have a quality job done for as little money as possible. As soon as you hire a seller, the money for the job will be held in the escrow account. Once you approve the job the money is then released to the seller. We are helping the average business save time and money by having their marketing outsourced and handled in a timely efficient manner. Unfortunately, not all companies have large marketing budgets, especially ones just get started. By using Gigbucks.com, you can still get quality and efficient work but without paying all those big agency prices. So what are you waiting for? Gigbucks has quality professionals just waiting to help you with your marketing. This entry was posted in Gigbucks on October 17, 2012 by jody. What Is Outsourcing Social Media Marketing? The need for outsourcing social media marketing for businesses has increasingly been on the rise. Social media marketing is one of the most successful tools for any growing business, small or large, and continues to dominate all major forms of online advertising. What businesses are finding with regards to social media marketing is a way to access a broader range of potential customers in a more immediate fashion. Now, more then ever, businesses are finding the need to outsource these services. What outsourcing does is essentially, provides a service, usually at a lower cost than hiring an agency or company to market your product or service through social media networks. Furthermore, outsourcing social media marketing is like hiring an independent contractor to handle all your social media marketing needs at a fraction of the cost. And one of the best sites for outsourcing social media marketing for all types of business is through . Gigbucks is revolutionizing the way businesses hire freelancers for their social media marketing needs. Gigbucks is a service that allows people or businesses to form an account and charge a small fee for their service. Services range from writing articles to conducting social media marketing. What makes this ideal and great for all types of businesses is that for only five dollars you can achieve a goal that would cost your hundreds, if you hired a more established and well known marketing corporation to do this job for you. It is a safe and effective way to conduct business. It is also easy to use and hassle-free to form an account. In addition, you are guaranteed to get the work done on time and with a high quality turn around rate. Moreover, you can pay securely and safely through Gigbucks and the provider of the service will only be paid once the job is done. In a sense, the job has to be completed and to your satisfaction before the provides is paid. There is a one hundred percent guarantee for you before your money goes to the provider. Gigbucks provides services for all types of business. Services range from writing essays, programming, graphic design and social media marketing for your business. You can verify you are dealing with high quality service providers by reading reviews under their account profile. There is an endless amount of information and services providers that make it simple to find anything to suit you or your businesses needs. You can also contact sellers before you hire them. Moreover, what this means exactly is that you have one on one communication with sellers and are guaranteed high quality service for your small fee. Instead of websites that make it difficult to get in touch with them, Gigbucks, by contrast puts you in direct communication with service providers so there is no hassle, discrepancy or misleading information. This also helps build relationships with service providers and clients, so if you need a further job done, you can recontact them at a later date. It is a very transparent, simple and effective way of conducting business online. There is no mystery as to how things are done and having solid communication makes every transaction smooth and easy to do. By searching on Gigbucks you will find thousands of opportunities for services that correspond to your business’ needs. Whether it is for social media marketing or other types of advertising, there are myriad of different job opportunities at the tips of your finger. Gigbucks makes every transaction transparent, easy and effective so there is no mystery as to how things are done. Moreover, each job is guaranteed for the customer’s absolute satisfaction. The way outsourcing social media marketing is done on Gigbucks is a relatively new and advanced way of advertising. For a small fee, starting at five bucks, a service provider on Gigbucks will do the marketing for you. What is required on your end is to provide clear cut and concrete details as to what you are looking for and hope to achieve. If for any reason you are unsatisfied with the service that is provided, you will not have to pay a single cent for the job. Further, even if the job is completed, if it is not done to your absolute liking, than you get a full refund. In other words, you do not have to accept any job if you feel it is incomplete. The power that you have is to control how the finished product looks and is designed. No service provider gets paid, to be sure, until you authorize your satisfaction upon the job being complete and to your standards of execution. This entry was posted in Uncategorized on October 11, 2012 by jody. The change to the economic landscape and the advent of the technological revolution is about to change a lot about how we live. As companies lay off workers and downsize their staffs many people are pulling themselves out of the rat race and heading towards the self-employment pool. In years past the dream of self-employment required a great deal of capital and a storefront, but with the internet becoming an intrinsic part of our lives many people are turning towards the internet as a potential place of employment as well. The reasons are simple; the Internet provides the audience and little capital is necessary to get started. Many Internet mavens have taken to the notion and in recent years websites have popped up that cater to a group of workers who’d rather work from home with their personal talents that put on a suit and head into the rat race. The concept is called “microjobs” and it is certainly making a splash in the employment world. The way these sites work are inherently the same, but there are some that offer unique features that should be explored. Fiverr and Gigbucks are two such “microjob” sites that offer users a plethora of employment options. Fiverr exploded onto the scene; created by Internet business experts, it aimed to create a safe, comfortable and easy marketplace for the reality of the economic situation of today. The starting price for jobs is $5 and jobs can be posted in a myriad of categories ranging from logo design, to social media services. The possibilities are endless. Fiverr, while a wonderful idea and a solid option for building an on line business, does offer a few pitfalls that some might be disillusioned by. Fiverr offers a reputation based “leveling” system that allows for higher start rates. The reputation pushes those who signed on early to a higher bracket; making it difficult for “newbies” to find their voice in the flooded crowd. Each job has to start at $5; for some this price point is simply too low to justify the work that is being asked for them. Workers in outside nations, consequently, have flooded the Fiverr gig community. The lower cost of living in these represented nations makes it difficult for those in high bracket nations to make a living. Gigbucks exists on the simple principle as Fiverr sites and others in the realm of micro-jobs. The user simply signs up and looks at the available jobs. The user also posts a general profile sharing what they are capable of and how they can get the job done. The platform aims to connect employers with freelance employees in a safe, efficient and convenient fashion. Thus far it has worked seamlessly. Gigbucks has expanded on the Fiverr script and offers users the ability to create a much more expansive business that is more lucrative. Like Fiverr Gigbucks connects employees and employers in a safe environment, but unlike Fiverr, Gigbucks, allows users to set their fee from $5 to $50 depending on the category and job being responded to. The price range makes the entire concept far more flexible. The smaller community means there is also far less competition for workers than that of sites like Fiverr. When a community has many employees searching for work the number of jobs posted must balance. In the case of Gigbucks the jobs often outweigh the community making it easier for newcomers to find work. Gigbucks is more geared towards a group of Internet entrepreneurs who are looking to set their price and create a marketplace that best works with them. While many believe a larger community is the answer to their monetizing needs; that simply is not the case. Fiverr offers an expansive community but it also offers a high level of competition; and with the going rate of everything being “$5” the jobs generally go to the workers who have been available the longest. Simply put, if you were not an early adapter Fiverr can feel like a difficult nut to crack. Gigbucks, on the other hand, is a far smaller community and offers the same expansive category options as a site like Fiver. The smaller community and ranging pay rate makes it easier to break into the world of micro-jobs; plain and simple. Gigbucks is a great jumping off point for those looking to explore the world of micro-jobs and a new structure that is allowing people to work how, when and where they would like. The comparison is a no brainer. While both Gigbucks and Fiverr offer a similar scope of services their means of delivery is much different. Fiverr focuses on the gimmick-laden concept of a “fiver” for services and a leveling system akin to a video game. The leveling system alone, along with the large and expansive community makes the entire concept of getting into the market later than an early adapter nearly impossible. Gigbucks, on the other hand, offers all users a level playing field and the ability to price their services as they see fit. The smaller community also makes it easier for newcomers to become a part of the scene. Gigbucks offers a limited registration process; while Fiverr and Fiverr sites require a much lengthier registration process. Gigbucks, also, appear to have much quicker customer service turnarounds. Questions can take 2-3 days to be answered on Fiverr compared to within 24 hours on Gigbucks. Once again, this might have something to do with the smaller community size. Both Fiver and Gigbucks are great sites to try an online business on for size, although Gigbucks appears to have an edge based on the ability of newcomers to actually make a splash and the varying service options. Both should be tried out; those who have long been in the rat race will likely be pleasantly surprised by how easy getting started in a self-employment track really is with the advent of the internet and technology. Happy searching! This entry was posted in Gigbucks on October 3, 2012 by jody. Finding a software programmer who will be able to assist you in your development needs by providing you with professional programming solutions and services has never been easier. Smaller companies may lack the financial resources needed to retail a full time IT department or in house programmer, and the high costs of working with high end web agencies may not be an option that is able to fit your budget. Gigbucks can offer you access to qualified programmers able to provide you with website design, programming services and other IT software solutions for a price you can afford. Freelance solutions for programming jobs allow businesses to pay per job, keeping costs as low as possible while still enjoying access to a superior range of professionals and programming services. Mico job freelance services and the websites that serve to connect professional top quality programmers with the businesses in need of their services have been growing in popularity, thanks to the cost effective benefits and greater flexibility such an approach is able to offer businesses and clients such as yourself. Finding the perfect professional for any job can be done with greater ease than ever before. Locating and contracting with a professional who will be able to offer you quality solutions for your programming needs allows you to pay a fraction of the cost that would be associated with retaining an IT department or contracting with a professional for the long term. Micro job freelancing ensures that you will only pay for the work you need, enjoying a greater value and more cost effective service than would be possible using a more conventional approach to find programming services. With thousands of different service providers and professionals to choose from, finding and making use of the resources needed to complete any job or project can be possible. Gigbucks offers comprehensive ratings and reviews written by past clients detailing the services, skills and level of satisfaction you can expect to find when working with any of the qualified professionals you have to choose from. Ensuring you have selected the best professional for the job is no longer a concern that you have to leave to chance. Working with the best professional available will ensure you enjoy higher quality results and the superior programming solutions your business has been searching for. Contacting the programmers available to discuss your needs and ensure they will be equal to the task can be done easily and effectively. Making certain you have selected the right professional for the job before you pay anything will ensure that you are not met with any surprises during the working process. Ease of access to the information and details you need to make a wiser choice of the available providers and service professionals will allow you to make the most successful choice. The escrow service provided by Gigbucks allows you greater ease and convenience when it comes to paying for the services you need. Making use of a secure and established payment method ensures that you are not forced to deal with any last minute inconveniences, less than secure financial transactions or anything else that would require you to make inconvenient payment arrangements. The best part is that with this payment method, payment will only be made to your service provider once you have been satisfied with the work done. With a secure, effective and convenient payment method that will require you to only pay for the services you are in need of, and only once you have been satisfied with them, meeting your needs can be done with a fraction of the costs you may have been expecting. Cost effective programming solutions and services that will be able to provide you with the superior results you need without breaking the bank. The far greater convenience and value that may be available when finding a professional service provider through Gigbucks will provide you with a better way to find the resources your business is in need of. Getting started with Gigbucks will ensure that you have access to thousands of qualified professionals, programmers and service providers who will be able to offer you a range or resources and solutions able to meet your needs. If you are tired of the high costs involved with contracting a programmer, working with service providers who are not able to give you the best results for your investment or with having to deal with inconvenient payment arrangements, you may be amazed with the advantages micro job freelancing has to offer. Cost effective and flexible solutions that will ensure you are able to find greater value and satisfaction with any of your upcoming jobs, projects and needs can be yours. This entry was posted in Gigbucks on September 26, 2012 by jody. Whether you want to launch your business or a personal brand online, doing so is possible with the help of WordPress, a free CMS (content management system). WordPress is a free system that can be installed for both personal and commercial websites, regardless of the type of product, service or even the content you want to publish. Using WordPress has many benefits for anyone interested in sharing a professional website with any type of audience. WordPress in its entirely is completely free to use whether you are publishing a personal blog or planning to monetize from your website. When you use WordPress you can do so without any licensing fees or subscription costs. Instead, the software is free for you to install on any type of web host while editing the code to your own liking. WordPress is easy to install and comes complete with full instructions on how to do so depending on the type of web hosting service you are using and whether or not you can automatically install the management system on your site or if you are required to install it step by step. Regardless, installing WordPress does not take much time and can be done whether you have experience with computers and programming or not, as long as you have the basic knowledge on how to access your website’s files from your hard drive. Once you are ready to begin uploading and sharing content with WordPress you can do immediately after installing and activating the WordPress system itself. Updating your website’s content with WordPress is done within the system’s own blogging platform which does not require you to have knowledge of even basic HTML (hypertext markup language) or CSS (cascading style sheets). Instead, you can instantly upload photos, add text and headers or even share links and products you want to sell using quick upload buttons and an on-screen text and HTML editor. You can also save drafts for later publishing or even to publish at specific intervals to help you to keep up with posting consistently. WordPress expands on traditional blogging platforms available, allowing you to install specialized plugins and widgets for your site to help boost your visitors’ ability to interact with your site while making the visit more memorable overall. Plugins and widgets for WordPress can be integrated throughout your entire blog or site or on specific pages and even just your homepage, depending on where you want to share various plugins available. Plugins for WordPress range from allowing virtual “liking” or voting on comments to integrating Flash banners and rotating advertisements on your site. You can find a variety of free plugins from the official WordPress website, where there is a directory of thousands of available plugins. Although WordPress is open-source and allows you to tweak and edit the system to your liking, there are also templates for layout designs available for free for all types of layouts. Using a theme created for WordPress allows you to instantly add a fun, modern or even a professional look to your website without having to understand coding and programming. Themes and their features vary, some allowing more interaction than others. Before choosing a theme for your WordPress site, be sure to preview the layout live to test various functions and appearance within your own browser. You can find funky and retro themes for fun blogs or even for photography blogs or you can opt for an ecommerce theme that is modern and stylish for a specific brand you want to represent. WordPress is naturally optimized for search engines, known as “search engine optimization”. When you install WordPress and create blog posts with popular headers and titles, search engines will have an easier time virtually “crawling” your website to add it into popular search engines such as Yahoo!, Bing and even Google. Using WordPress is ideal if you are looking for a way to boost visits to your website, especially if your site surrounds specific or popular keywords that are relevant to your business overall. When you install WordPress for your own site you are able to easily keep communication open with your visitors and loyal fans who visit and want to interact with others on your site. WordPress automatically allows commenting and registration on your blog for visitors who frequent your site. Having users register as members and post comments not only helps to boost your page views, but it will also contribute to building an online community. When visitors on sites leave comments and interact with other members of the site it will also contribute to your online reputation while making your site more memorable. Additionally, you can also instantly comment and implement live chat plugins with WordPress, boosting your site’s popularity while giving you an opportunity to speak directly to those who are interested in your site’s content whether you are publishing for personal reasons or advertising services and products. Once you have installed WordPress and you are familiar with how to install plugins you can then active allowing multiple users on your site as writers, administrators or even just as users who are permitted to read the content published. If you are running an online magazines or if you have a company to represent, creating multiple users in a WordPress site is ideal as it will allow you to easily track uploaded and published content from each author without any posting or log-in conflicts that may arise when only using one user at a time. If you are interested in integrating WordPress into your own website for your brand or business, you can do so with the help of GigBucks. Finding help on developing themes or simply installing WordPress with GigBucks is quick and allows you to find the help you need even if you are working on your project with a budget in mind. This entry was posted in Gigbucks on September 21, 2012 by jody. Video marketing isn’t as new as you might think; it has actually been around for many years. Promotional videos first came out on VHS tapes and were often sent by mail to potential customers. Today’s video marketing is now done on DVD or online. Today’s Promotional Videos are created with a business most attractive possibilities and the consumer both in mind. A good, structured and informational Promotional Video can go viral overnight and cause a business to make more money in a few days than it has in years before the video has been released. There are many great reason and benefits to for a business or company to use Promotional Videos for their main marketing strategy. Below is a list of reasons and benefits of using video marketing as opposed to traditional printed material. If your company has a weekly or monthly news paper why not put that on video as well. Doing so can help employees and clients to become more familiar with each other and with the company’s basic goals and desires for the company and its employees. A promotional video is a great way to show off a company’s products or services while getting consumers excited about the products or services, and giving them the information that they need to make educated choices about which products or services they really want to buy. It’s impossible for a company to do a physical product demonstration for each and every customer that looks at a business’s product, unless that company is willing to settle for having very few customers. A video product demonstration can ensure that just about every customer gets a professional product demonstration. Video based training and orientation videos that are exciting and interactive help to get new employees excited about their new jobs. They also help new employees to learn what is expected of them, and how to do their jobs faster and more efficiently. Word of mouth has been the best advertisement for as long as people have been buying, selling, and trading products and services and it still is. A well put together testimonial video can sell a business’s products like no other promotional marketing strategy can. Making a successful promotional video is not as hard or expensive as you may think. Using a freelance website like Gigbucks will allow you to hire a professional where you’ll be getting a top quality product and in a timely manner. Professional Promotional video makers already know the ropes and don’t have to depend on trial and error with your new marketing video. As well, by using sites like Gigbucks you can determine the budget you want to spend for your video Between $5 – $50 for an awesome promo clip. Not to shabby right? In the 2012 Internet Retailer Conference it was announced that businesses that used product and promotional videos online and in store sales were increased by more than twenty five percent on average. What business couldn’t use an extra twenty five percent increase in sales and profit? Those are just a few of the many different types of promotional videos that a business can use to run a smoother business, increase sales and profit, and drive traffic to their websites. If you have a business or organization and you want to increase sales and profit, or even popularity for that business or website do yourself a favor go to Gigbucks and have a promotional video made for your company or website. This entry was posted in Gigbucks on September 15, 2012 by jody.